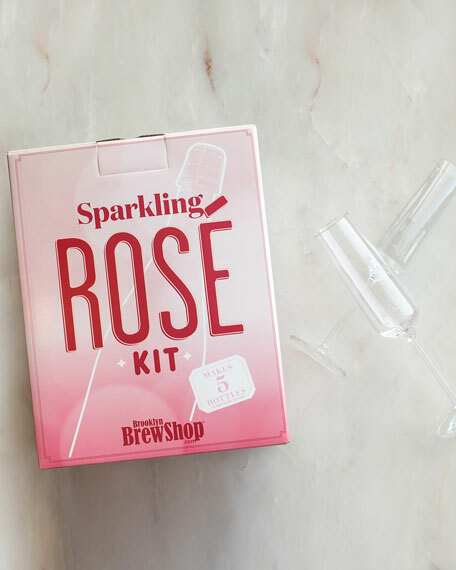 Sparkling Rosé All Day, the DIY Way" In this kit we've included everything you need to make five bottles of sparkling rosé, even corks. All you need is this kit, a few empty champagne bottles, and a little patience. The steps to making sparkling rosé are delightfully easy. With this kit you'll be popping bottles of pink bubbly in just six weeks. 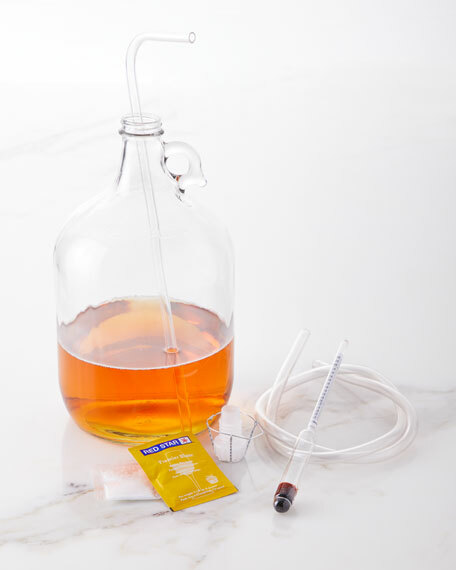 Rosé Wine Making Kit includes: rose grape juice, sparkling wine yeast, glass fermentation jug, hydrometer, racking cane, tubing clamp, cleanser, airlock, tubing, screw-cap stopper, five corks, five wire cages. Box: 7.5"W x 9"D x 12"T.